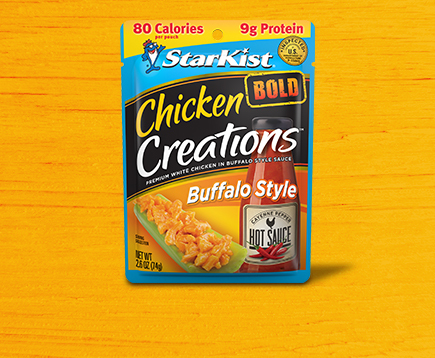 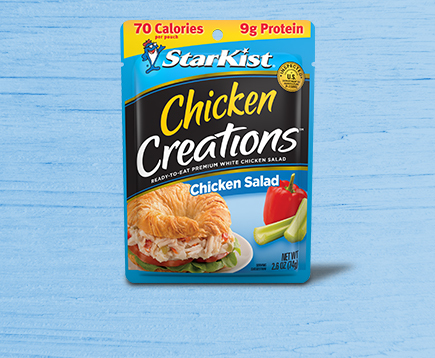 Introducing New Chicken Creations™ Pouches! 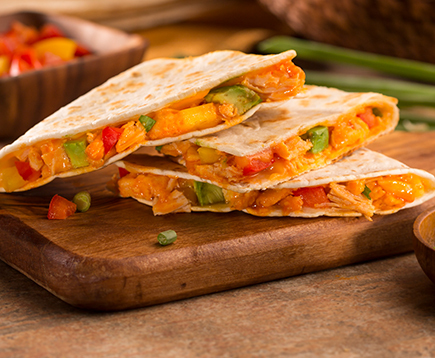 Fresh veggies, BOLD Buffalo Style chicken and melted cheese make these Buffalo Chicken Quesadillas impossible to resist. 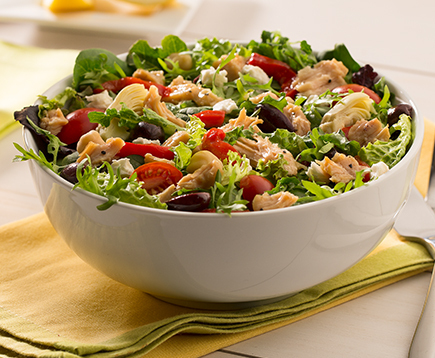 Take your taste buds on a Mediterranean journey with this Lemon Pepper Chicken Greek Salad. 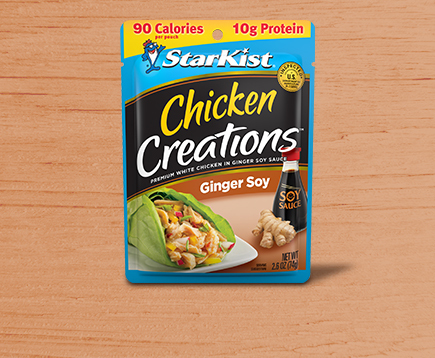 Premium White Chicken in Ginger Soy Sauce. 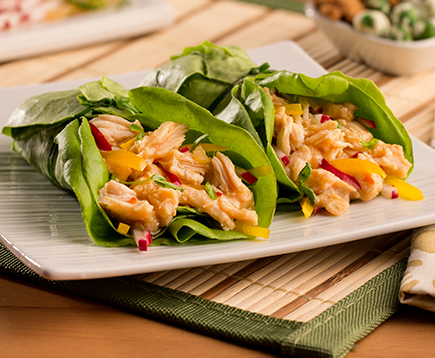 These Asian-inspired lettuce wraps are full of flavor and protein. 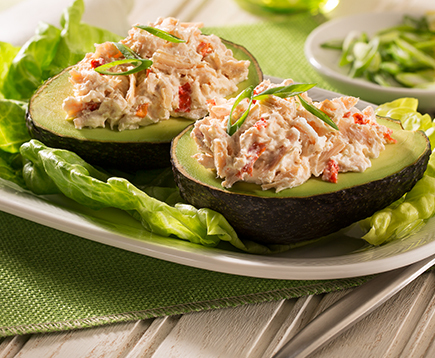 You’re just 5 minutes away from a protein-packed lunch or afternoon snack. 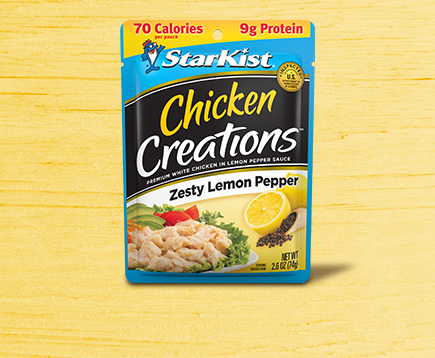 Check back soon for a product locator and more information.